An exciting range of educational resources are available for schools to support the foundation stage curriculum. Alphabet pack - To be sounded out or joined togeter to make simple CVC words. Vowel pack - Can be added to the alphabet or used alone to reinforce vowel sounds. 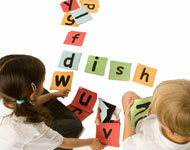 Any letter group - Made up to your requirement aiding easy delivery of phonics games. Numbers - Used to identify numbers, develop number bonds and progress to creating simple number sentences. Emotions - Helping children identify and understand their feelings. 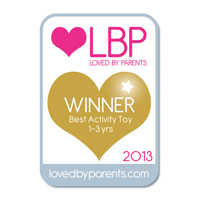 Discounts available to schools, nurseries, colleges, and childminders. For any more information please sign up below. We'd love to hear from you and we promise not to pass your details on to anyone else. "My Wondercube is a source of visual, kinesthetic and oral inspiration to children. It creates a playful and purposeful structure for exploring colour, pattern, texture and even the foundations of number and word building." "Why didn't I think of it?" "Enjoyed by our children, great idea!" "User-friendly, visually appealing and fun!"